If there’s one thing I can say about Vape Club’s beginner lineup is they don’t over charge. The price for this particular kit is just £4.99, however they also have what they’re calling a “free trial” for a disposable modle, although it will still cost you £1.00 for shipping. Before I go on with the review, as far as I could see, there’s no auto-ship or expiring trial (they mention as much on the offer page as well). I’ve made my stance on “free” trials before, so you should always remain vigilant as well. Ok, so back on track. As I was saying, the price is right for this kit. With that being said, it’s a pretty anemic setup. 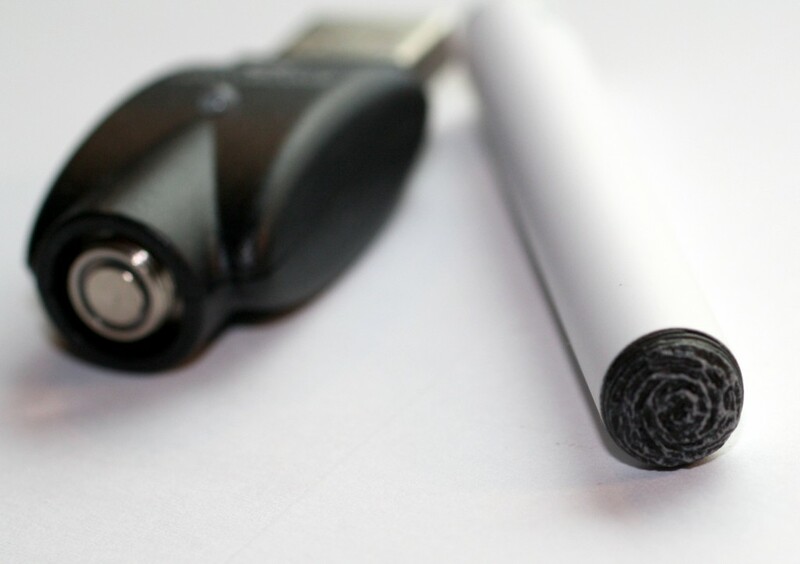 A single battery, a cartomizer and a USB charger. Even beginners should consider at least picking up one of the other kits that include multiple batteries. Or, better yet, an eGo-based kit, but that’s an article for another day. The kit itself is pretty straight forward. You have a white automatic battery that illuminates via an orange LED at the tip when puffed on. The cartomizer is tan and features that speckled pattern you see on cigarette filters. In general, that mans that you won’t be able to use this battery with other devices, nor use the cartomizer on other e-cigarettes. Because Vape Club sells a huge range of stuff, it seems like anything in their beginner line is intended more as sort of stepping stone to other gear. Because of that, I don’t consider it a huge loss to not have a compatible standard. The cartridges I received (the 1 with the kit, plus 5 pack of refills) are pretty standard 16mg tobacco flavored deals. It’s a fairly non-distinct flavor, a sort of mildly sweet generic tobacco I’ve sampled in countless other similar devices. Perfromance is equally average. Vapor is satisfying, but nothing that makes it stand out from other gear. In general, the device isn’t terrible, especially at the price. If you, or someone you know, is looking for a very basic kit to just get a feel for things, at the price they’re offering, I think it’s a good choice. I would suggest getting one of the kits that include at least two batteries and more cartomizers so you can experience the device for more than a few hours. 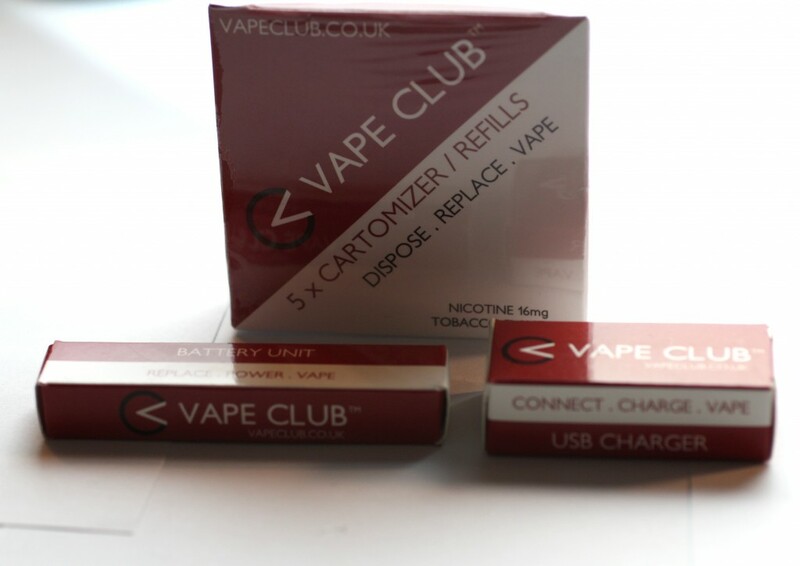 Check out all the starter kit offerings at VapeClub.co.uk for more options and pricing. 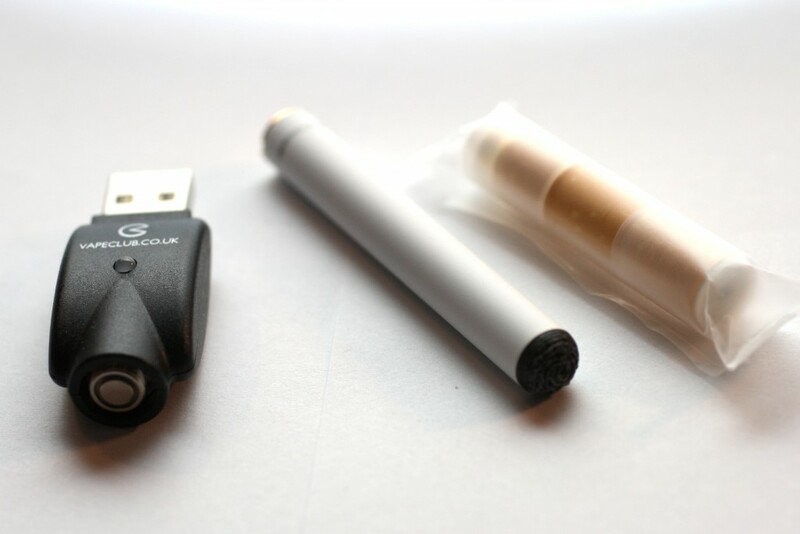 PREVIOUS POST Previous post: What Does Banning E-Cigarettes Accomplish?